Today I received my first piece of hate mail from a stranger that stumbled upon City Dog Expert online. It was a little bit of a shock to the system as normally the emails I receive are from people that like the website. Bubble burst. Before Fred and Ginger, Jack and Jill and Romeo and Juliet, there was Man and Dog. Man and Dog had a great life together and could possibly be described as the worlds first “power couple”. They would travel everywhere together. So it only made sense that when Man went to the City, so did Dog. 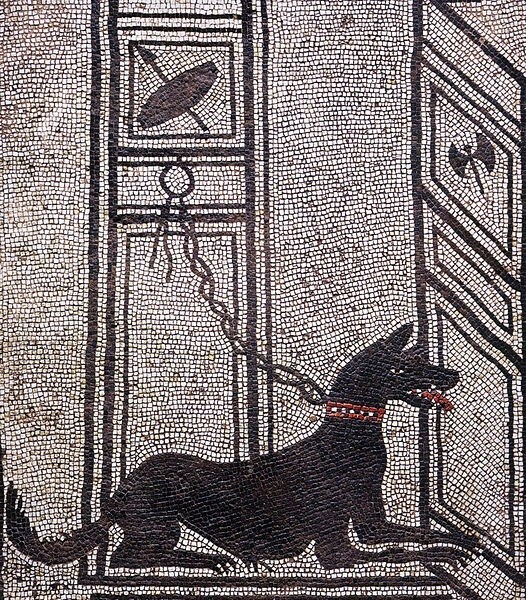 The history of dogs in the City date back to Ancient Rome where dogs were viewed in a similar way to how they are today- as a treasured part of the family and faithful companion. In Ancient Mesopotamia (2150-1400BC) dogs were regarded so highly that they were not only the companions to the goddess Innana and Gula, but their saliva was used as a cure for wounds! Similarly in Ancient Egypt, dogs were considered so important that people would mummify their dogs after death and shave their eye brows as a sign of respect and grief to the departed canine! Considering man and dog have existed in cities forever, why do some people object so strongly to having an urban pet? From my own experience of having dogs and understand their behaviour, my dogs mostly sleep all day. No matter the space we are in (country manor house or studio apartment), my dogs like nothing more than to sleep. They will play with their toys or each other for about 10% of the time and the rest of the time they are snoring away. How do I know this? Because I check in on them with a video camera so I can see exactly what they are up to at any given time of the day. I challenge you to do the same thing. Record your pet and see what they get up to most of the day. Sleeping and dreaming is right up there! Yes, the city does have its dangers, but also does the country. 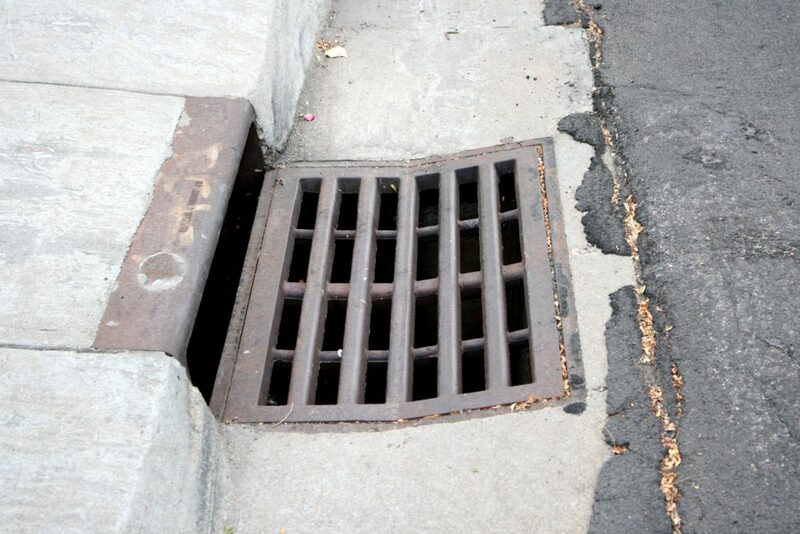 We have storm drains in the city (the enemy of any urban dog) but the country has farming machinery, fast traffic, and animals that spread deadly diseases to our pooches (namely foxes, badgers and ticks). City dogs are kept safely on leads for a lot of their time outside which greatly reduces the risk of accidents. Yes dogs are social creatures. However as owners, we cannot be expected to be at our dogs side 24/7. Dog parks, daycares and meet ups cater for a huge part of our dogs social needs and socializing a dog in the city is much easier than one in the middle of the countryside. Just walking around a city exposes Fido to other city dogs and people increasing socialization and habituation. If you work very long hours, a dog may not be right for you but a healthy mix of dog daycare and dog walkers helps ease the pressure of us 9-5ers. Wow, I’m sorry you experienced receiving a message like that. I don’t feel that it is cruel to keep a dog in the city. I’m sure for every person who thinks that keeping a dog in a city is cruel there is one who thinks keeping one in the county where there are different dangers is a problem. I figure with unreasonable people like that, you just have to scratch your head an move along. Great post…and an excellent way to answer the haters! I enjoyed your post, and I must admit my blood starting boiling just reading the headline. The ignorance of people knows no bounds. I can’t tell you how many people have told me they can’t have a dog because their apartment is too small. I then always say, it doesn’t matter what size your apartment is because your dog will be going for enough walks, and play time. The blank stare I’m met with has me convinced if these same people lived on a 10 acre farm they still wouldn’t satisfy the needs of their dogs, because they’re clueless. Responsible pet parents know how to provide their dogs with all the physical exercise and mental stimulation they need, and the size of their home does not matter one bit. Ugh, I really don’t like when people make judgements. I have lived in both urban and suburban areas with dogs and there are advantages and disadvantages to both. Regardless of where you live, the most important things are love, safety, playtime, socialization, companionship, etc. I lived in NYC with a dog and he went to the park at least once a week, visited the butcher shop once or twice a week and walked 2 times a day 4 long city blocks. He socialized with other dogs and humans on a daily basis. & not to mention his bi monthly salon visits. Silly people, city dogs can have awesome lives too! Animal abuse is cruel, not keeping a dog in the city! As long as their basic needs are met – love, food and exercise the size of the space they live in is irrelevant. Most cities have parks and green spaces where you can walk dogs. Great post! Great post and Layla is a city dog, she has a wonderful life, lots of dog parks and beaches so I am not sure why people should think we are being abusive by having dogs in the city. Really? Cruel is it? Sorry I am trying not to laugh at such arrogant and foolish behaviour. How DARE they push such a presumptious and dictatorial attitude at someone else.!!! I am glad you are a better person than your commenter. Well done! I had that once – I reported on Silver’s best buddy who died in a traffic accident. I received a rant about outdoor cats being wrong (I disagree, but, whatever….) and this person (who had never EVER commented before) was not surprised the cat died if it went outside. I love this post as a response to your “hater” which is insane! Dogs thrive in the city and imagine all the awesome enriching smells for dogs everywhere you take them on walks. I’d rather see every apartment full of dogs then see them in shelters… right?! Dogs are perfectly suited to whatever environment they are brought into… love your history section too – I love this stuff. Wow! The ignorance of some people amaze me! There are so many benefits of living in the city for a dog. So if this person doesn’t think dogs belong in a city where should they go, to a shelter?!!! That is crazy! I bet that person has a large fenced in yard and doesn’t interact with their dog when they are outside. Those of us without fenced yards, take our dogs on daily, interactive walks. It’s about how you care for your pets. People can be so ridiculous! They think every dog should live on a farm. A dog doesn’t need a 3 bedroom/2bathroom house, that’s a people thing! A dog’s “den” doesn’t need lots of space, their activities outside the Den is where the space is needed. 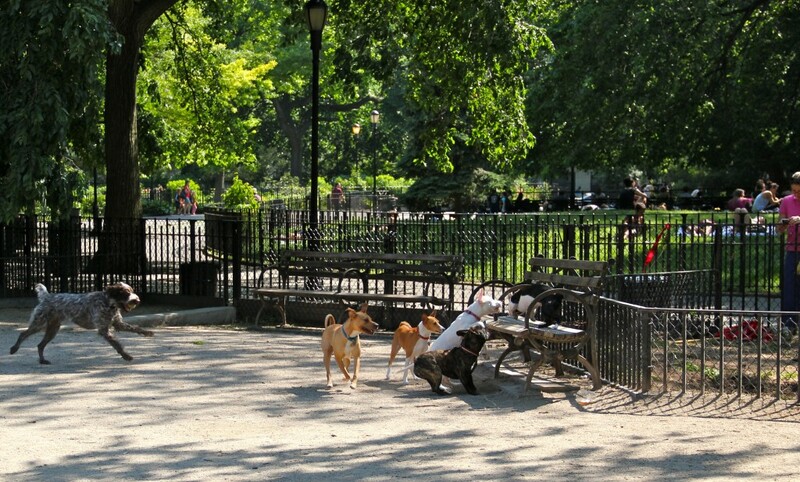 I lived in New York City & that person should see how happy the dogs in massive Central Park are on a daily basis! I love that you made a negative email into such a positive, city-dog affirming post. It was fun reading the history, too. 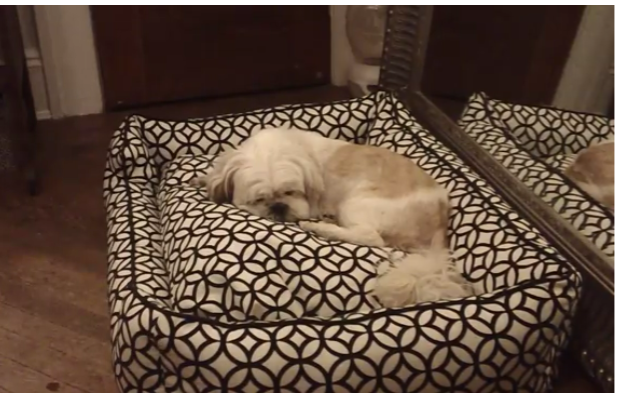 It is amazing how much our pets sleep—I like that you brought up you’ve observed them sleeping yourself by using a webcam. Webcams can be so helpful. Some people have a strange need to pick fights with everyone. There is nothing cruel about having a dog in the city. The secret is knowing that particular dog’s needs and devising ways to meet them. Humans are larger than most dogs and have far more complex exercise and psychological needs, yet we live in tiny apartments just fine. People just need to be responsible pet owners, enrich their home environment as much as possible and take their dogs out as often as necessary. It is getting easier and easier to do those things! Mr. N actually enjoys living in the city better than the suburbs with yards. He gets a lot more mental stimulation in the city and can go more places and there’s always squirrels and rabbits to chase! I believe we are all entitled to our opinions, but to tell a dedicated, loving dog owner that they are being cruel to their animals drives me crazy! So, because you live in the city, you are cruel. Because I do dog sports with my dogs, I am cruel. Cruelty to dogs comes in the form of puppy mills, not loving homes. I am sorry you had to read such a sad email, but am happy to see your pro-active, and much more honest, response! Wow, I wonder if the person really thought that or if he/she was just trolling you. I always think that urban dogs are lucky to have such dedicated humans. My dogs would be happy in one room studio, then they wouldn’t have to move to be in the same room as me. Lots of suburban and country dogs are left alone all day. Wow!! Some people really need to give their head a shake!! !